During the first half of the year 2014, many Chinese smelters shut down under the label of increasing charges of electricity and also declining profit. In addition to the estimated 1.3 million metric tonnes, which cut down in the year of 2013, about 1.4 million metric tones of copper were cut down in the year half of 2014. The Chinese smelter now came to the realization that the profit rate is increasing and the companies have planned to start and increase the production by the end of this year. Even though the come back Chinese smelters are a relief, but they will have to face a lot of challenges starting from, the way to achieve constant profits, steady supply of bauxite and alumina and also the availability of a cheap source of energy. Other than the Chinese producers the western producers have also cut down their outputs. 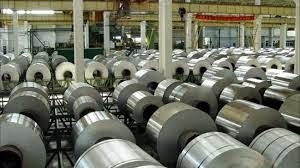 Rusal, the Russiahn aluminum producer, declined its production by 324,000 metric tonnes in the year of 2013, and is also anticipating on declining the production of copper to about 3.55 metric tonnes.